This site was created to advance understanding of the Nugent family, especially the branch that settled in the Caribbean island of Antigua around 1720, staying there for two and a half centuries, a quarter millennium. 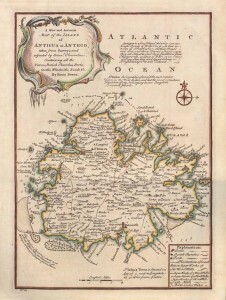 It brings together research carried out in Antigua and Britain. The Nugents have a tendency to use the same Christian names in subsequent generations so where possible Oliver Nugents have been identified by a title or date of birth or death. Another tendency is to incorporate a surname connected with the family as a middle name. 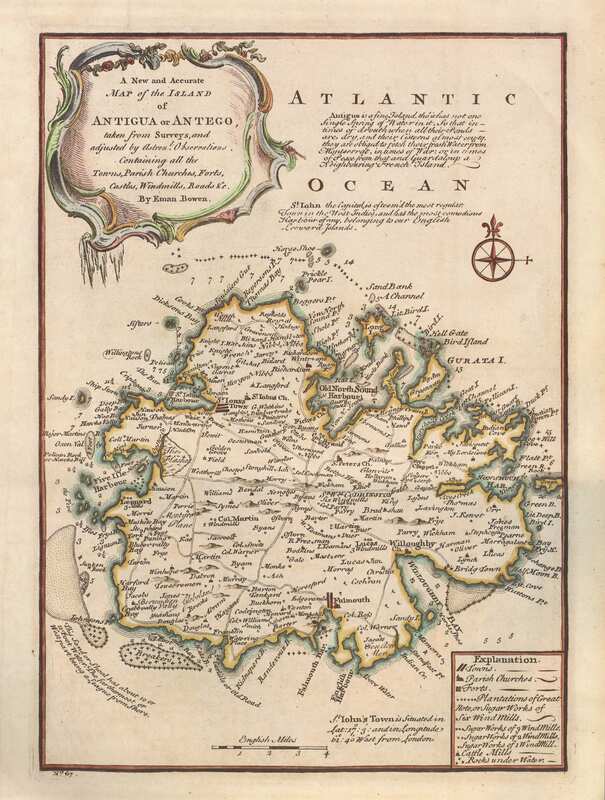 Eman Bowen map of Antigua in the Leeward Islands in 1745. Click on image for enlargement. Relevant contributions are welcome subject to the principle that the site tries to ensure accuracy. Towards that end, it will give alternative theories where facts have not been ascertained, and will attribute information where possible. Descendants or relatives of those featured, whether or not they bear the Nugent surname, are encouraged to contribute profiles of themselves or their branch of the family. Unless otherwise attributed, contributions are authored by Nicholas Nugent, the site owner.